A native of West Virginia, Jenny moved to Knoxville in 1979 and has made this her home ever since. Though she continues to cheer for the West Virginia Mountaineers, she has become a Tennessee Volunteer fan as well. 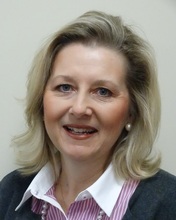 Jenny began her public accounting career in 1984 with Main Hurdman (subsequently KPMG) after obtaining both her B.S. and Master's Degrees in accounting from the University of Tennessee, Knoxville. She received a B.A. in Journalism from West Virginia University prior to enrolling at UT. With her friend and fellow classmate, Janna Hubbs, she formed Hines and Company, P.C. in 1998. As a Tax Partner, Jenny works with a broad spectrum of clients ranging from real estate developers and managers to artists and media producers. She works with both corporate and individual clients. Jenny is active in the community serving on the boards of Knoxville Symphony, Foothills Land Conservancy and Legal Aid of East Tennessee. She currently serves as treasurer for Legacy Parks of Knoxville. Her husband, Tom Jester, is a free-lance writer and producer. Jenny and Tom are avid travelers, scuba divers, hikers, and readers. 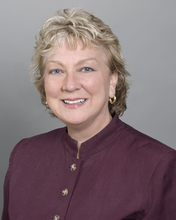 Janna moved to Knoxville in 1975 and in 1979 she received her B.S. in Education from the University of Tennessee. 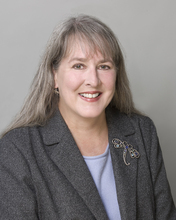 She worked in the education field for several years prior to returning to the University of Tennessee where she received her Master of Accountancy in 1984. 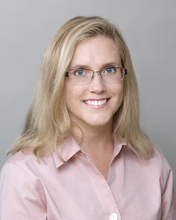 After graduation, she worked for James Hickman, KPMG and Newby, Nunley & Hubbs before reuniting with her classmate and partner Jenny Hines to form Hines and Company in 1998. Janna works with small businesses in the areas of real estate, construction, professional services and media production. She has concentrated her efforts in assisting client by providing a wide range of accounting and tax services. Janna has one daughter. When you don't find Janna on the tennis court, you can find her cheering for the Vols and Lady Vols! Sharon was born and raised in Knoxville. 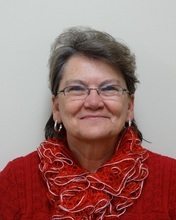 She attended Carson Newman College, where she graduated in 1990 with a Bachelor of Science in Accounting with a minor in Computer Information Systems. She passed the CPA exam in 1992. Sharon has worked in accounting since high school in both public and private accounting before coming to Hines and Company in 2000. Sharon became a partner in 2013. She is a member of the Association of Certified Fraud Examiners. She has concentrated her efforts in assisting clients by providing a wide range of audit and tax services. Sharon is married to Rusty and they have two children. She has served on many non-profit boards, in many capacities from general board to Treasurer, Finance Committee member and Executive Committee member and is currently the Treasurer of Sportsmen’s Wildlife Foundation. She also currently volunteers with YWCA, Friends of Literacy, Hardin Valley Athletic Council and is a member of the Oak Ridge Sportsman's Association. She is the Neighborhood Watch Coordinator and a member of the Audit Committee for her HOA. Sharon spends lots of time with her family. Both of her children graduated from HVA and are currently attending college. You can usually find her at the swimming pool with her family or playing with their family pets. 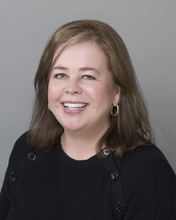 Renee grew up in East Tennessee and attended The University of Tennessee before transferring to Brigham Young University where she graduated in December 1992 with her Master of Accountancy with an emphasis in Taxation and Bachelor of Science in Accounting with minors in Business and Psychology. She began working for Hines and Company in 2007 after 20 years in a variety of industries including aviation, entertainment, healthcare and technology. 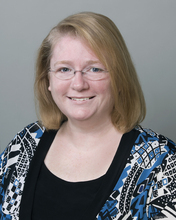 In 2007, Renee was licensed by the IRS as an Enrolled Agent and in July 2014 earned her designation as a CPA. 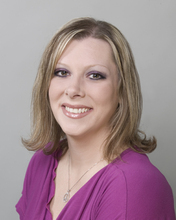 She is a member of the National Association of Enrolled Agents and Tennessee Society of CPAs . Renee is married to Tom and they have two children and a grandson. She has served as a Board Member of the Hardin Valley Academy and Cedar Bluff Schools PSTAs and is a Karns High School AFJROTC Patrons of TN-932 Founding Board Member and Treasurer from 2008 to present. Renee enjoys spending time with family and friends, cross-stitching and learning to fly. A native of Ohio, Jeff moved to Knoxville in 2002. After a number of years of management experience in the private and governmental sectors, he decided to return to school to complete his education. Jeff graduated from the University of Tennessee and received his Master of Accountancy in 2013. He passed the CPA exam in 2013. Jeff came to Hines and Company in 2015. Jeff is married to Kathy and they have two children. He enjoys sports, (he is an avid Ohio State fan), cooking, and traveling. Jennifer attended the University of Tennessee where she received her Master of Accountancy in Taxation in 1985 after receiving her Bachelor of Science in Accounting with highest honors, in 1984. She received her CPA designation in 1986. After graduation Jennifer worked at Main Hurdman in audit and tax. She then worked in her family’s business and ran her own CPA firm for 25 years. She came to Hines and Company in 2008. Jennifer is married to Greg and they have one daughter who is in medical school. She enjoys oil painting and sporting clays. A native Knoxvillian, Rena attended the University of Tennessee and earned a Bachelor’s degree in Business Administration with a major in Accounting in 1989. She passed the CPA exam in 1991, while working in public accounting for a local firm. She then worked in the private sector for a number of years before joining Hines and Company in 2013. Rena is married to Gary and they have four children. She serves as a trustee at her church and with various other ministries. She is a swim mom and enjoys cooking, crafts and travelling. Susie was born and raised in Clinton, TN. She attended the University of Tennessee where she graduated in 1998 with a BS in Business Administration with a major in Accounting. She continued her education to complete the coursework necessary to sit for the CPA exam, and is currently working toward that designation. She came to Hines & Company in 1999. Susie is married to Scott and they have two children. She enjoys spending time with family and entertaining friends and loves spending time on the lake and at the beach. Andrea received her Bachelor of Arts degree from Carson-Newman College in 1998 and spent the next several years working with local, education based nonprofit organizations. She worked with Hines and Company briefly in the early 2000’s before leaving to work together with her husband to grow his graphic design business. Andrea returned to Hines and Company in 2015 as a staff accountant. Andrea is married to Nathan and they have three children. She enjoys traveling and camping in the National Parks, especially the Great Smoky Mountains. She is an avid reader, enjoys Once-A-Month bulk cooking, and spending time with family. Christie grew up in East Texas and joined the Army upon graduating high school. There she met her husband and started her family. Being a military family and moving every few years, she has had the opportunity to work at several companies in numerous administrative and accounting roles. She has continued to learn from each of her positions and tries to use what she has learned to assist others. She joined Hines and Company in 2017 as a staff accountant. Christie is married to Juan and they have two sons. She enjoys mountain biking, hiking and spending time with her family and friends. She volunteers at her church and enjoys helping others. Margaret grew up in Knoxville and graduated from Knoxville Catholic High School. Soon after graduation she started raising her family and working. She has been an administrative assistant/office manager for many years and came to Hines & Company in 1999. Margaret is the glue that holds the office together and is generally the first smiling face you will see as you enter our offices. Margaret is married to Bob and they have three daughters, a granddaughter and a grandson. She is an avid gardener and loves spending time in her flower beds with her granddaughter. She volunteers with at her church and loves serving and helping others.